Cramer & Anderson Founding Partner Henry B. 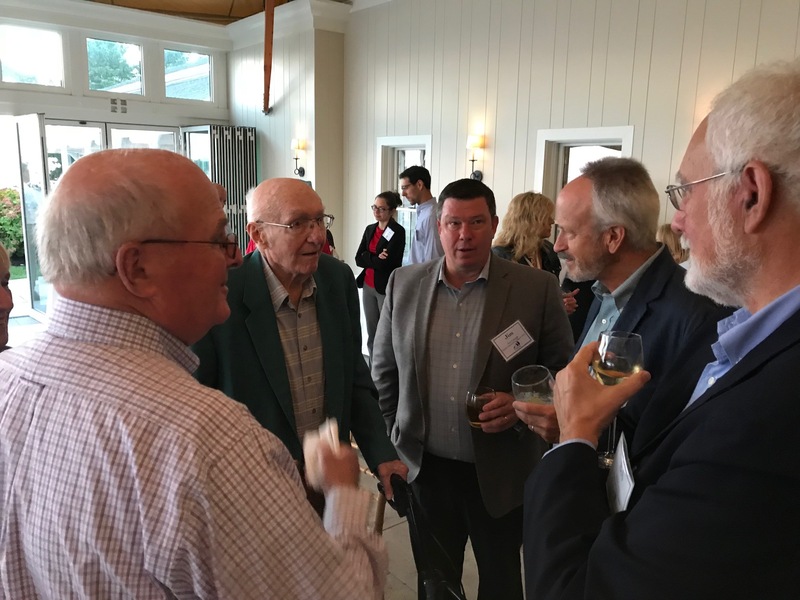 “Hank” Anderson, who lives on Cape Cod with his wife, Bunny, and turned 100 this past May, attended a recent dinner that was part of the annual off-site meeting of the Connecticut Attorneys Title Insurance Company (CATIC). From left, Len Jacobs, Hank Anderson, Jim Czapiga, Peter Ebersol, and Bob Carey at the CATIC dinner on Cape Cod. 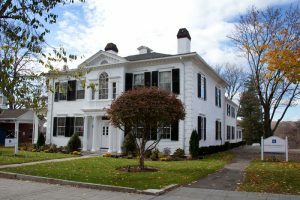 Anderson was a founder of CATIC in 1965, when it was known as the Connecticut Attorneys’ Title Guaranty Fund, and he served as a director on its executive committee. A World War II hero who survived kamikaze attacks on two aircraft carriers, Anderson went on to become a prominent attorney who played a lead role in shaping the practice of law in Connecticut. In September, CATIC held its annual off-site meeting at the Wequassett Resort in East Harwich, Mass., on Cape Cod, about 10 minutes from Anderson’s home in Brewster. Attorney Fisher relayed the proximity information to Jim Czapiga, president of CATIC, who expressed interest in meeting Anderson. “We offer our congratulations and our gratitude to Hank for his many years of service to CATIC, the bar at large, and the community,” CATIC said in a Facebook post paying tribute to Anderson.